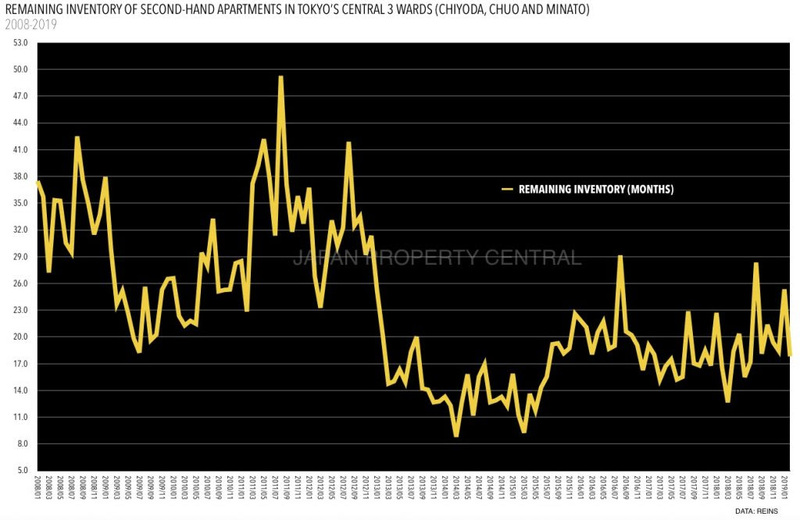 Statistics from the REINS show that Central Tokyo’s 3 wards of Chiyoda, Chuo and Minato saw 215 apartments sold, up 46.3% from the previous month but down 1.4% from last year. Credit: Supplied: PLAZA HOMES licensed under . PLAZA HOMES presents an apartment for rent in Japan's largest project, World City Towers. Credit: Supplied: Japan Property Central licensed under . 1,821 apartments were sold in the Tokyo metropolitan area, up 32.4% from the previous month and up 3.3% from last year. The average apartment price was 43,150,000 Yen, up 7.3% from the previous month and up 3.9% from last year. Central Tokyo’s 3 wards of Chiyoda, Chuo and Minato saw 215 apartments sold, up 46.3% from the previous month but down 1.4% from last year. This is the 11th month in a row to see a year-on-year decline in transactions. The average sale price was 59,800,000 Yen, down 20,000 Yen from the previous month and down 3.5% from last year. The average price per square meter was 1,084,700 Yen, down 3.0% from the previous month but up 0.1% from last year. The average size of an apartment sold was 55.13 sqm (593 sq.ft). The average price of existing inventory on the market was 77,410,000 Yen, showing no change from the previous month but up 11.4% from last year. The average price per square meter was 1,343,700 Yen, up 0.1% from the previous month and up 6.5% from last year. The average apartment size was 57.61 sqm (620 sq.ft) and the average building age was 20.00 years. Source: REINS, March 11, 2019.